The next time you’re looking for a cozy place to stay in Orlando, or even just somewhere to dine and take in the arts, look no further than The Alfond Inn. The Alfond Inn was recently highlighted in a New York Times article titled 36 Hours in Orlando, focusing on the real urban life of Orlando outside of Walt Disney World. The NYT spotlights both the culinary and fine arts aspects of The Alfond Inn, as well as the fact that it is a non-profit inn with proceeds going to its scholarship programs. Established and owned by Rollins College, a private liberal arts college in Winter Park, The Alfond Inn boasts 112 rooms, the award-winning Hamilton’s Kitchen, pool and fitness center, 10,000 square feet of meeting space, and is only a short drive from all of Orlando’s best entertainment areas. The Alfond Inn was built with a $12.5 million grant from the Harold Alfond Foundation. Net operating income from the Inn is directed to The Alfond Scholars program fund, the College's premier scholarship fund. 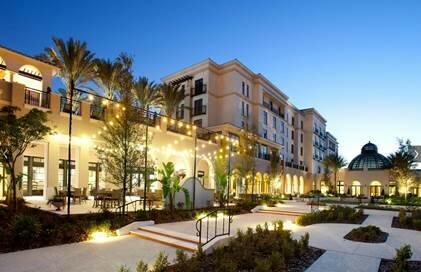 We celebrate our client The Alfond Inn!